Tags: collagen, essence water, gold. 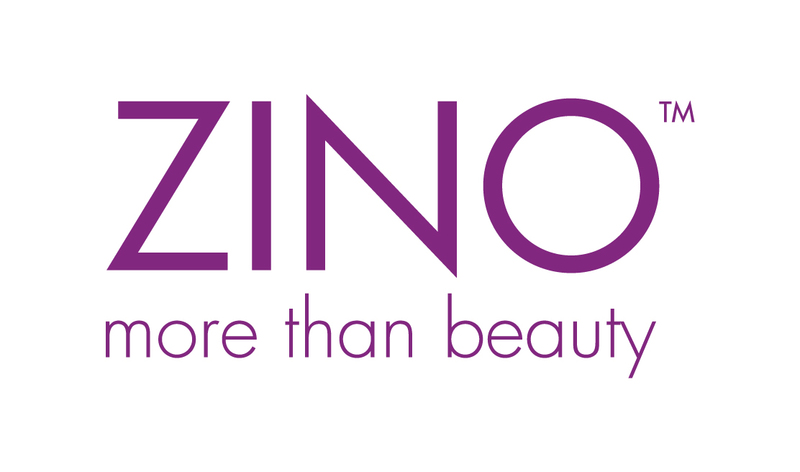 ZINO Activating Gold Essence Water, by promoting cell reborn and collagen rebuilt, can help improving skin problems, such as dullness, roughness, dryness, white bumps, large pores, wrinkles, sagging, freckles and irritations. A flawless and youthful skin is restored in one night. 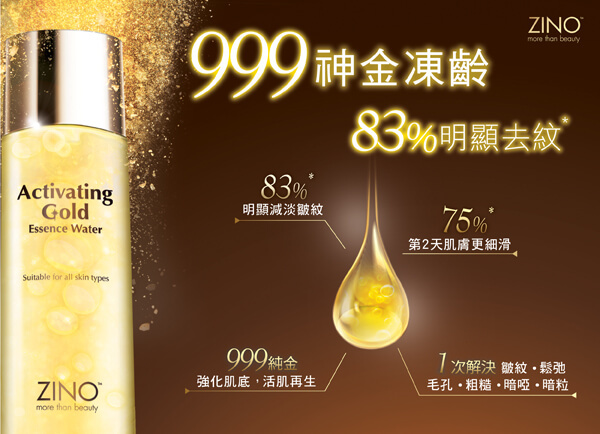 The essence water contains 999 gold, through the ionizing effects. It helps the blood circulation for promoting cell reborn, collagen rebuilt, and anti-free radical and anti-melanin. A translucent skin is instantly restored. By combining the patented ingredient Gatuline® Expression and hydrolyzed collagen, elastin and collagen are instantly rebuilt, preventing wrinkle formation and improving sagging skin. The essence water contains concentrated hyaluronic acid and Tremella Fuciformis extract, with their human affinity structure, can immediately hydrate derma skin and balance oil secretion. With the help of allantoin, the anti-inflammation property can further prevent skin irritations. Apply every morning and evening after cleansing. Dispense a generous amount onto palm, gently pat and massage over face & neck until fully absorbed. Followed by other skincare products. After cleansing, apply some cotton pads soaked with Activating Gold Essence Water onto face for 5 to 10 minutes. Treatment could be done once or twice a week for optimum result. Mix a generous amount of Activating Gold Essence Water with a facial cream (e.g. ZINO Hydra Locker), then leave them on the face for 5 to 10 minutes. Gently massage until fully absorbed for instant optimum result.